With his handsome looks, this big teddy bear is sure to make a much-loved gift on Valentine's Day, Birthday present or any other occasions where you want to show your love. 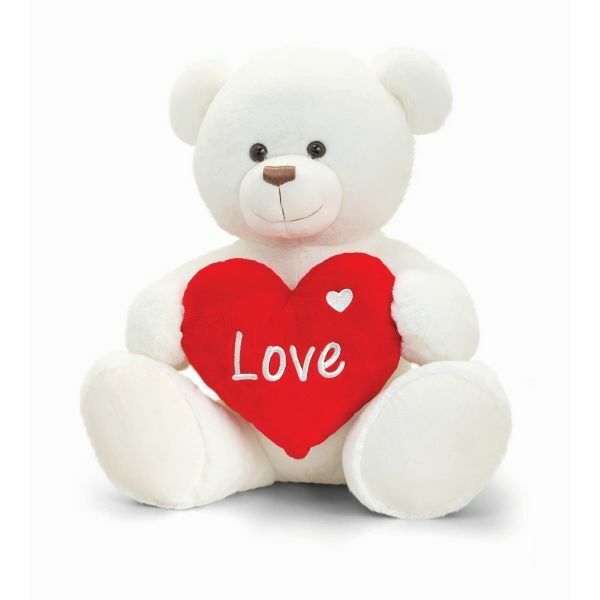 Our Giant I Love You Teddy Bear is manufactured to high-quality standards by Keel Toys. He measures a massive 70cm (27") and has soft brown fur on his body, a brown stitched nose and brown eyes. Henry holds a red stuffed heart embroidered with the greeting Love.